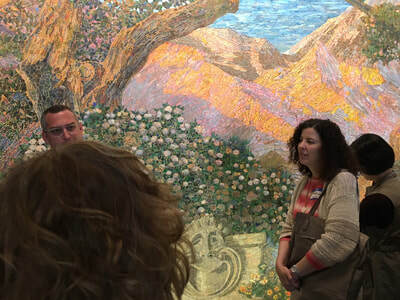 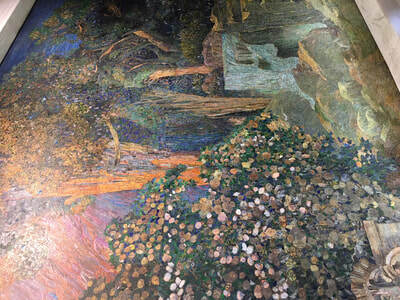 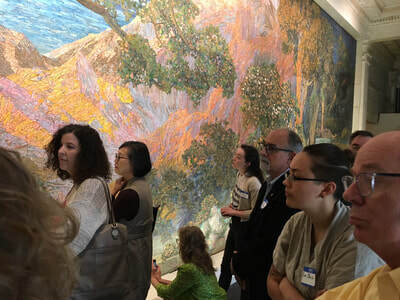 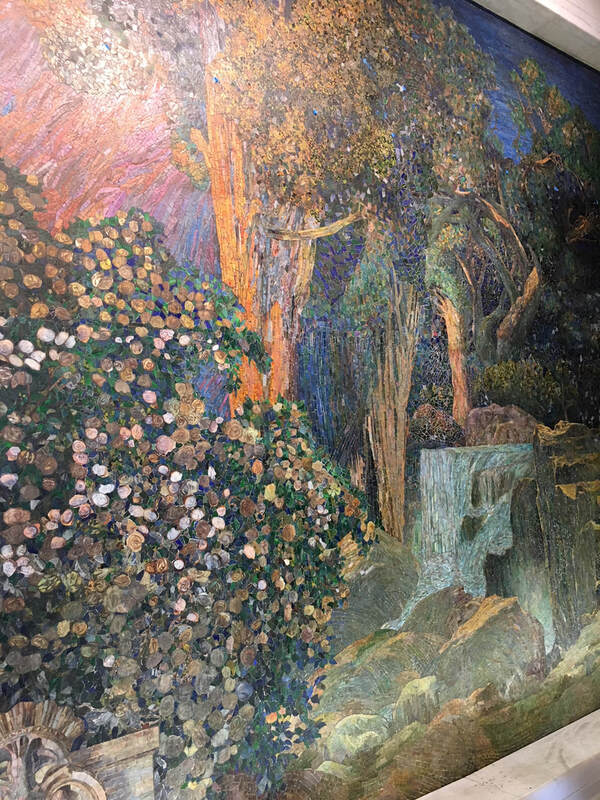 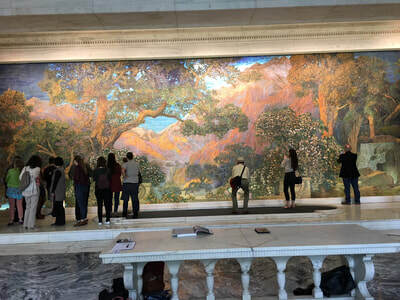 ​Thursday, April 26, 2018 – 12:30 p.m.
Mary McGinn, PAFA paintings conservator, and Andrew Fearon, architectural conservator, gave PACA members an up-close look at The Dream Garden, a Tiffany glass mosaic designed by Maxwell Parrish. 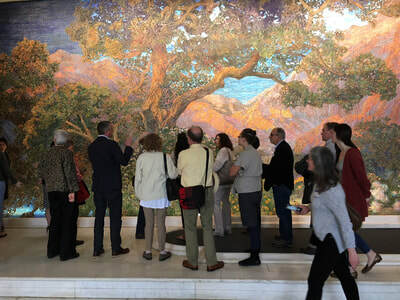 The mosaic is one of only two interior landmarks on the Philadelphia Register of Historic Places and is Tiffany’s most significant favrile glass mosaic work. This informal midday presentation focused on the mosaic's history, assessment, seismic monitoring, stabilization, testing, and conservation treatment.